By buying this product you can collect up to 114 loyalty points. Your cart will total 114 points that can be converted into a voucher of Rs. 11.40. 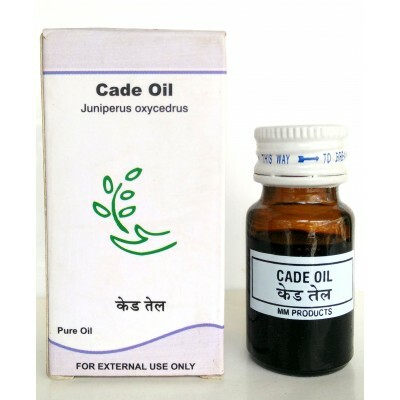 This oil is very best quality of Therapeutic Aromatherapy grade made/processed by Dr. Jains’s Forest Herbals Pvt. Ltd and/or Samed Agro Services Pvt. Ltd. India. This oil comes in Amber glass bottles with a glass dropper for added convenience. Good Quality branded Therapeutic Aromatherapy grade essential oil at competitive prices. Get a glass dropper free of cost with each of bottle. The oil comes in Amber glass bottle. Combined shipping discount of US $ 1.00 for each additional piece you buy of the same or different type. Dr. Urjita Jain (M.D., D.G.O) is a Gynecologist and is trustee of the Institute of Herbal Science. She and Mr.Chetankumar Jain are creators of Dr. Jain’s Brand of herbal medicines and beauty products. They have popularized the use of herbs for beauty and health among common people, thus reviving the ancient Indian tradition. After exclusive clinical trials and the use of modern technologies they have started training course to bring this ancient science to the contemporary usage through the college of Herbal Science and Technology in India. The college is located at Chaitanyavan in the midst of flourishing herbs spread over 25 acres of land. Dr. Urjita Jain has conducted various clinical trials and extensive research with the herbs and Aromatherapy oils. Her book “Beauty through Herbs” is recognized well and is very popular. 1. Massage: Mix 10 to 30 drops of aromatherapy oil base oil (Til Oil, corn oil etc.) and massage on effected part or give full body massage. Formula can be prepared by using Dr. Jain Aloe Vera Liquid, Aloe Vera Gel, Cucumber Gel etc. A) Baths – Add 2 to 4 drops of aromatherapy oil in one bucket warm water (app. 25 lit.) and take bath. Can add to Foot bath, Sitz bath. An aromatherapy oil compress may soothe aches, sprains, or swelling. Take a bowl of cold or hot water as required. Add some drops of aromatherapy oil in it (1 drop for 100 ml. water). Immerse a cloth in the water, sqeeze it lightly and place over the affected area for 10 minutes. Repeat the procedure 3-4 times. Use hot water for muscular aches and cold for sprains or headaches. Alternate way is to make thick paste with wonder mitti (Dr. Jain’s), add few drops of aromatherapy oil and apply thick lep on effected part. Cover it with cloth and wash after 30 mins. For fresh and fragrant atmosphere add 2-4 drops of aromatherapy oil on vaporizer. Also can add to spray bottle (4 drops to 200 ml water) and spray. One can add few drops to the water used for cleaning the floor, tables, counter. approximately 25 drops of essential oil in 50ml of base oil should be used. 2. Essential Oils are for the use of adults only unless specified otherwise. These oils are for external use only. shows any redness, itching or irritation, you should avoid the use of these oils. 4. Please store the bottle firmly capped and in dark and safe place away from children. 5. Do not use essential oils in Pregnancy. 6. In case of any doubt, please consult professional Aroma Therapist on what the correct method of usage etc. Action - Skin tonic, relieves inflammation and itching of skin, helps in removing toxins accumulated in hair and skin (due to use to chemicals). Helps in getting rid of dead cells.